You’ve heard this joke a million times since you were six. But have you ever thought about… the double meaning of the punchline? It’s not just an anti-joke, which means a joke that has a setup but no real punchline. 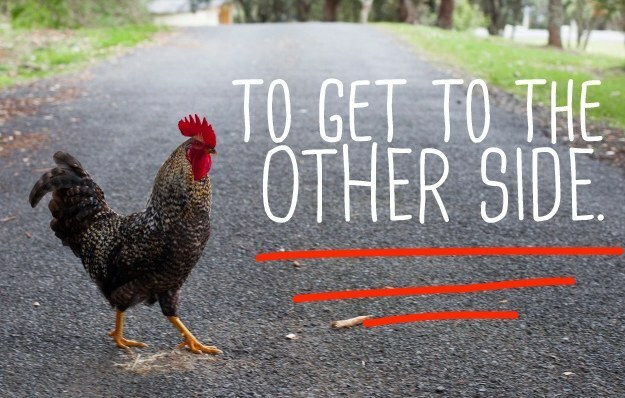 It’s a play on words: “Other side” refers to the literal other side of the road, but it also is a common euphemism for heaven. 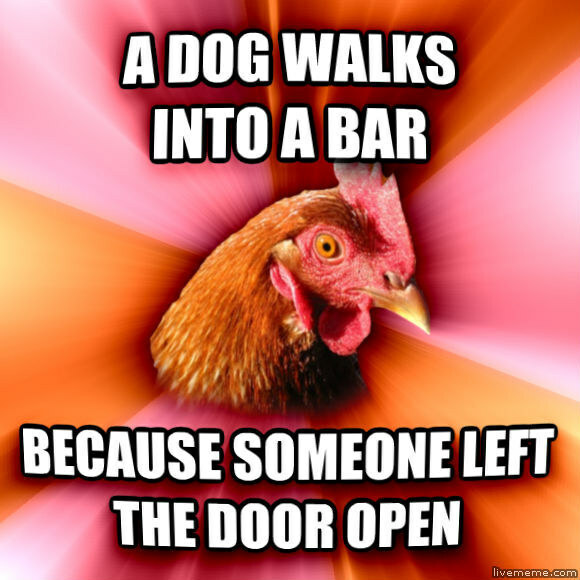 So, the chicken joke isn’t just an anti-climactic non-joke. It’s an ACTUAL JOKE. GET IT? THE CHICKEN DIES.